The hunt is on to find the individuals and businesses that are helping maintain the West of England aerospace sector’s position as one of the world’s largest and most innovative. Nominations have opened for its the second annual West of England Aerospace Forum’s (WEAF) coveted annual Aerospace Ambassador Awards. Following last year’s success, a new award specifically for small and medium-sized engineering companies has been added, taking the number of categories to six. The awards celebrate the stars of the South West’s aerospace and defence industry – one of the largest and most significant aerospace clusters in the world. Of the 15 international giants of aerospace, 14 have bases in the South West of England, while the sector is worth more than £7bn to the UK economy. WEAF is now on the look-out for the individuals and companies that have made outstanding contributions to the sector’s success. The awards are free to enter and are open to everyone working in the industry. Best Aerospace Media (Short Film) Award. For a film of between two to 10 minutes in length on aerospace, which educates, entertains, amazes and makes the industry feel proud. The winners will be selected by an independent panel of experts from across the region’s aerospace and defence industry and presented at a ceremony held under the wings of Concorde at Aerospace Bristol on June 27 attended by the cream of the South West aerospace sector. WEAF chief executive Simon Young urged companies in the sector to nominate individuals so their work can be celebrated by their peers. “It could be for a superb contribution in engineering, or a radical improvement in a business process. If you know of someone who has made a real difference, we want the world to know too,” he said. “Last year the awards demonstrated that the South West has the people and companies to remain at the forefront of the aerospace and defence industries, not just in the UK but globally. I’d encourage anyone involved in the sector to apply – let’s not hide our talents under a bushel. “After last year’s success, we are looking forward to seeing and celebrating the fantastic engineering and business expertise in the region. Despite uncertainty in the macro-economy, the South West continues to lead the way in aerospace engineering and manufacturing, all thanks to the talent and dedication of its companies and their staff. 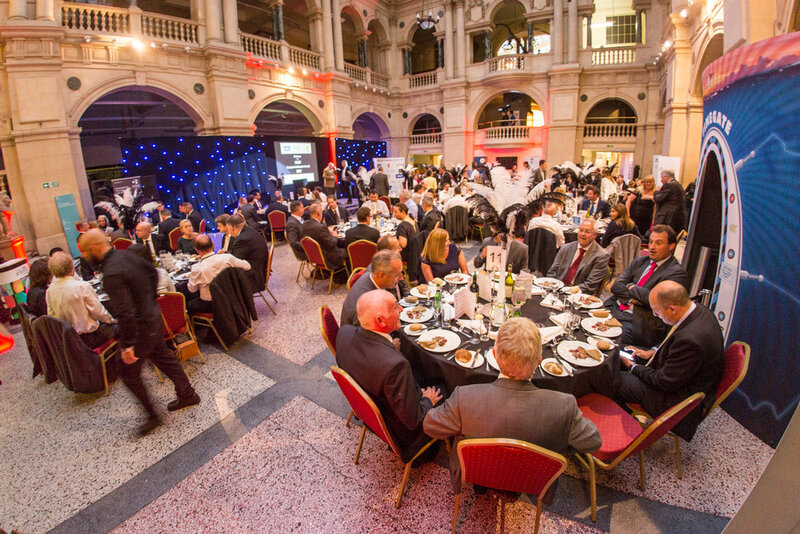 Headline sponsors for the awards are Plymouth-based optical thin film coatings manufacturer Artemis Optical, international law firm Osborne Clarke – which has a major office in Bristol – and Cleveland-based specialists bearings maker SKF Aerospace. Individual award categories are being supported by Bristol-based Aerospace & Airworthiness Consultancy Enterprises (AACE), global aerospace giant Airbus, Bridgwater & Taunton College, Castlemead Insurance, international law firm Trowers & Hamlins – which has an office in Exeter – and Devon-based PR and marketing agency Aro.